The elegantly refined side chair This illustrates e15’s key philosophyin featuring functioning elements essential to the form of a product. 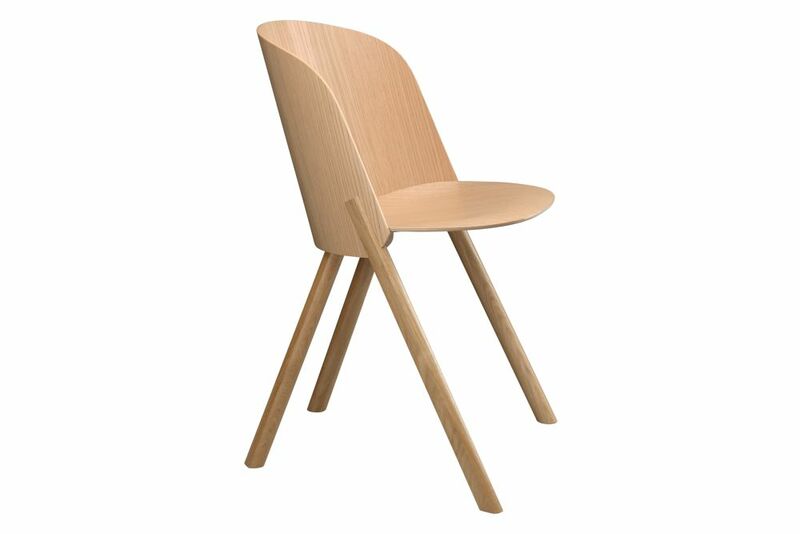 Named after the famous card trick THIS THAT OTHER, the chair This is part of the robust and versatile seating series. Offering ultimate comfort, rounded shapes give way to modern spirit and rational details with distinct quality. Based in Munich, contemporary German designer Stefan Diez develops innovative products and exhibition designs for renowned brands including Rosenthal, Authentics, Elmar Flötotto, Schönbuch, Thonet, Merten, Moroso und Wilkhan since the opening of his studio in 2003. His award-winning products mirror Stefan Diez’ innovative and creative character as well as his intensive work with materials. His products are minimalistic designs with an unpretentious sense of humour. The first cooperation between e15 and Stefan Diez started in 2008, resulting in the chair family HOUDINI.